Yes, we ship worldwide. We will happily ship to your home address, but for the fastest delivery, we suggest that you use your business address as there is always someone present to receive your package. Please note: All Danish orders will be delivered to the nearest GLS parcel shop. All delivery prices are flat, meaning you can buy as many goods as you like, and we will still just charge you for shipping once. WHAT IF I'M NOT HOME UPON DELIVERY? If you are not home upon delivery, your package will instead be delivered to a GLS parcel shop or a post office near you, so that you can collect it at a later time. GLS or your local postal service will advice you about this. You will receive an e-mail or an note in your inbox/mailbox with information on where to pick up your package. Please note! Remember to pick up your package in time. You have 10 working days to come and pick it up. If your package is not picked up within 10 working days it will be returned to Kristina Krogh. A second delivery attempt will be payed by you. DO YOU SELL YOUR ARTWORKS WITH FRAMES? All artworks are sold unframed. It is not possible to buy ready-made frames or to order custom made frames in this online store. The artworks are carefully wrapped in silk paper and shipped in a cardboard tube or shipped flat in a thick bespoke packaging to avoid damage during shipping. Most of Kristina Krogh's works are made in standard frame dimensions (A2 / 40 × 50 / 50 × 50 / 50 × 70 / 70 × 100 cm). I LIKE THE FRAMES YOU HAVE USED. WHERE CAN I GET THEM? DO YOU OFFER YOUR ARTWORKS IN CUSTOM SIZES? 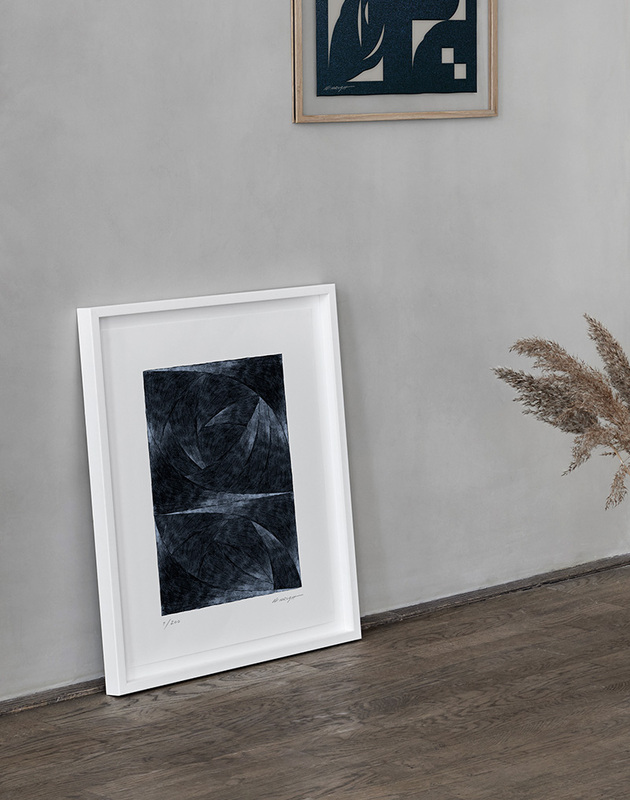 It is not possible to order Kristina Krogh's artworks in custom sizes. All her artworks are only available in one size per artwork. An artwork can be found in either: A2 / 40×50 / 50×50 / 50×70 or 70×100 cm. WILL SOLD OUT LIMITED EDITIONS WORKS RETURN IN NEW EDITIONS? No. When Kristina Krogh's limited edition works are sold out, they will not return. They are sold out forever. CAN I PURCHASE AT A WHOLESALE COST? CAN I POST ABOUT KRISTINA KROGH ON MY BLOG/WEBSITE? Yes. It is always a pleasure to find Kristina Krogh featured in magazines or online. Thank you very much for the interest. Please kindly note that all images must be credited or (if online published) linked to www.kkrogh.dk. WHAT IS A LIMITED EDITION ART (GICLÈE) PRINT? The word Giclée ("g-clay"), is derived from the French verb gicler meaning "to squirt or spray". Giclée, is used to describe a fine art digital printing process combining pigment based inks with high quality archival quality paper to achieve giclée prints of superior archival quality, light fastness and stability. Kristina's giclée art prints are sequentially numbered to a fixed run of 175, 200, 300 or 400 per artwork, signed and numbered by Kristina, and printed to the highest standard on heavy natural white (100% cotton) fine art paper from Hahnemühle using mineral-based archival inks. 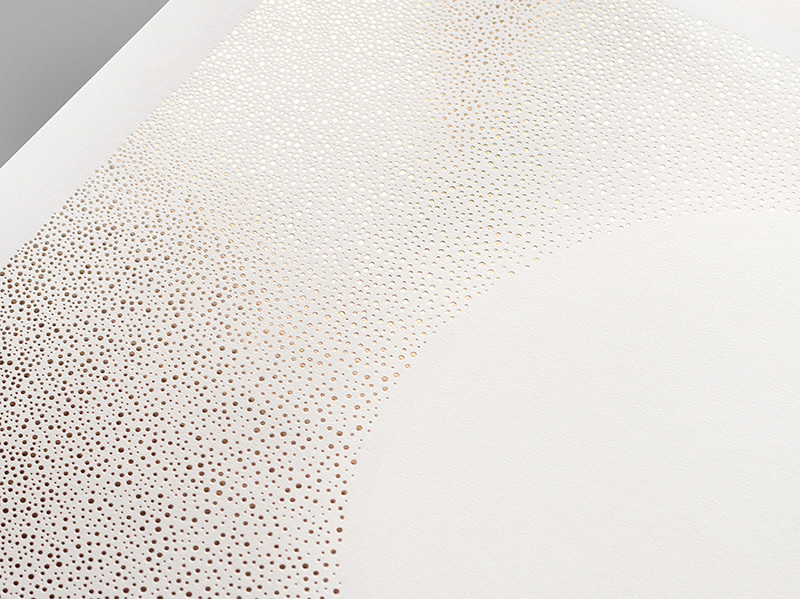 The high quality art paper features a distinct textured surface in both look and feel. Hot foil stamping is an exclusive printing technique that transfers metallic foils to paper at high temperatures with a metallic matrix, and is used as the first choice to ensure the best results for metallic artworks, beating Pantone's metallic inks and silk-printing in luminosity, shininess and overall quality. Thanks to the collaboration with our partner in Denmark – one the finest printing houses known for the high quality of their works – Kristina Krogh is also able to apply the foil stamping technique to very large dimensions, arriving at 70 × 100 cm (27,6 × 39,4 in), whereas the technique is usually bound to business cards format, making her artworks a rare feat in this area. Kristina Krogh is using ‘real' hot gold foil stamping which is not to be confused with other gold foils techniques, like ‘faux' foil stampings, serigraphy or gold foil application with laminators, that are cheaper but that unfortunately can't reach the same high-quality results and dimensions.